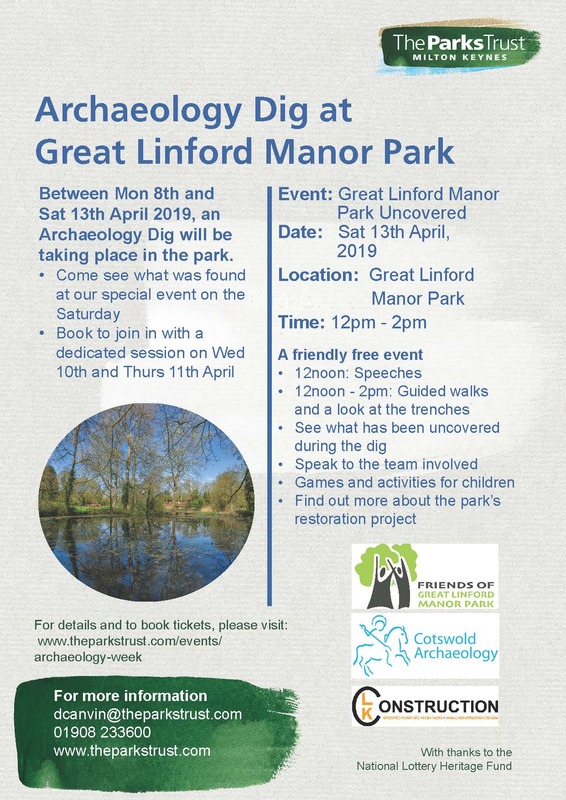 Archaeology week will be taking place from Monday 8th April to Saturday 13th April. On Satuday 13th April, we will have a public open day from 12 – 2pm where there will be speeches and tours around the trenches. Free public sessions will be available on Wednesday and Thursday (10th-11th) between 10am and 3pm. More details and booking is available on the Park Trust website. Please note that booking is essential and there are limited spaces available.